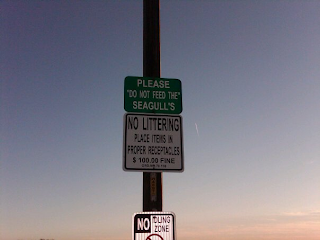 What are you "not" supposed to do to the seagull's WHAT? I agree. 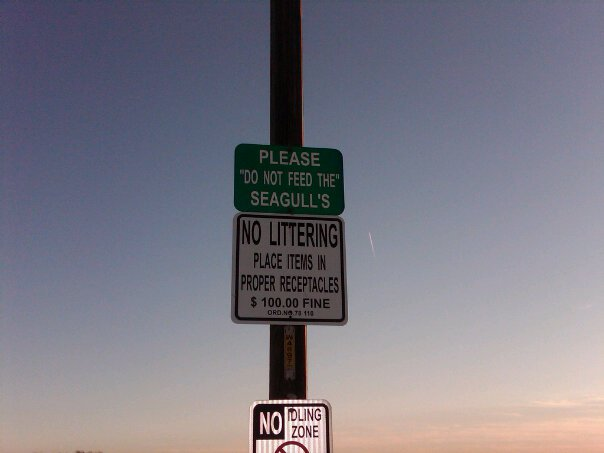 The apostrophe annoys me more than the quotation marks. Agreed on the apostrophe, but i would also feel better if the second set of quote marks did not just leave you hanging on 'the'. This sign really is a punctuation train wreck.